In this study, Brassica Napus straw was used as an adsorbent to eliminate Copper (II) from aqueous solution. In batch adsorption experiments with a fixed contact time of 120 min, experimental variables were selected as pH (2-10), metal solution concentration (2-10 mg/L), adsorbent dosage (0.03-0.07 g), and temperature (30-50 °C). These four independent variables were optimized using response surface methodology based on a four-independent variable face-centered central composite design. The optimum conditions for Copper (II) adsorption were found to be Copper (II) ion concentration of 7.3 mg/L, pH of 5.9, 0.03 g of adsorbent dosage, and temperature of 33 °C . At the optimized conditions, up to 79 % Copper (II) heavy metal ions managed to remove from heavy metal solution onto Brassica Napus straw. The face-centered central composite design proposed turned out be the best statistical model to predict the response with good accuracy and a high regression coefficient (R2=0.992). Results clearly suggest that Brassica Napus straw can be used for the Copper (II) adsorption as a low-cost adsorbent. Bu çalışmada sulu çözeltilerden Bakır (II) giderimi için ham Brassica Napus bitki sapları adsorban olarak kullanılmıştır. Kesikli adsorpsiyon deneylerinde sabit 120 dakikalık temas süresince, pH (2-10), metal çözelti derişimi (2-10 mg/L), adsorban miktarı (0.03-0.07 g), ve sıcaklık (30-50 °C) adsorpsiyon deney değişkenleri olarak seçilmiştir. Bu dört bağımsız değişken yüzey merkezli merkezi birleşik tasarımına dayanan yüzey yanıt yöntemi kullanılarak optimize edilmiştir. Bakır (II) adsorpsiyonu için optimum koşullar 7.3 mg/L bakır (II) iyon derişimi, 5.9 pH, 0.03 g adsorban miktarı ve 33 °C olduğu yüzey merkezli merkezi birleşik tasarım yöntemi ile bulunmuştur. Elde edilen bu optimum koşullarda, adsorbanının %79 kadar Bakır (II) ağır metal giderimini gerçekleştirdiği deneysel yöntemlerle hesaplanmıştır. Önerilen yüzey merkezli merkezi birleşik tasarımının iyi bir doğruluk ve yüksek regresyon katsayına (R2=0.992) sahip en iyi istatiksel yöntem olduğu bulunmuştur. Sonuçlar açık bir biçimde Brassica Napus bitki saplarının ucuz bir adsorban olarak Bakır (II) giderimi için kullanılabileceğini göstermektedir. A. Ghaedi, M. Ghaedi, A. Vafaei, N. Iravani, M. Keshavarz, M. Rad, I. Tyagi, S. Agarwal, and V. K. Gupta, “Adsorption of copper (II) using modified activated carbon prepared from Pomegranate wood: Optimizationbybeealgorithmandresponsesurfacemethodology,” Journal of Molecular Liquids, vol. 206, pp. 195–206, 2015. H. Setiabudi, R. Jusoh, S. Suhaimi, and S. Masrur, “Adsorption of methylene blue onto oil palm (Elaeisguineensis) leaves: Process optimization, isotherm, kinetics and thermodynamic studies,” Journal of the Taiwan Institute of Chemical Engineers, vol. 63, pp. 363–370, 2016. H. Mahmoodian, O. Moradi, B. Shariatzadeha, T. A. Salehf, I. Tyagi, A. Maity, M. Asif, and V. K. Gupta, “Enhanced removal of methyl orange from aqueous solutions by poly HEMA–chitosan-MWCNT nano-composite,” Journal of Molecular Liquids, vol. 202, pp. 189–198, 2015. A. Hassani, L. Alidokht, A. Khataee, and S. Karaca, “Optimization of comparative removal of two structurally different basic dyes using coal as a low-cost and available adsorbent,” Journal of the Taiwan Institute of Chemical Engineers, vol. 45, no. 4, pp. 1597–1607, 2014. V. Njoku, K. Foo, M. Asif, and B. Hameed, “Preparation of activated carbons from rambutan (Nepheliumlappaceum) peel by microwave-induced KOH activation for acid yellow 17 dye adsorption,” Chemical Engineering Journal, vol. 250, pp. 198–204, 2014. N. Gupta, A. K. Kushwaha, and M. Chattopadhyaya, “Adsorption studies of cationic dyes onto Ashoka (Saraca asoca) leaf powder,” Journal of the Taiwan Institute of Chemical Engineers, vol. 43, no. 4, pp. 604–613, 2012. B. Hameed, D. Mahmoud, and A. Ahmad, “Equilibrium modeling and kinetic studies on the adsorption of basic dye by a low-cost adsorbent: Coconut (Cocos nucifera) bunch waste,” Journal of Hazardous Materials, vol. 158, no. 1, pp. 65–72, 2008. H. Fan, J. Yang, T. Gao, and H. Yuan, “Removal of a low-molecular basic dye (Azure Blue) from aqueous solutions by a native biomass of a newly isolated Cladosporium sp. :Kinetics, equilibrium and biosorption simulation,” Journal of the Taiwan Institute of Chemical Engineers, vol. 43, no. 3, pp. 386–392, 2012. M. S. Umar, P. Jennings, and T. Urmee, “Sustainable electricity generation from oil palm biomass wastes in Malaysia: An industry survey,” Energy, vol. 67, pp. 496–505, 2014. X. Jin, M. Zheng, B. Sarkar, R. Naidu, and Z. Chen, “Characterization of bentonite modified with humic acid for the removal of Cu (II) and 2,4-dichlorophenol from aqueous solution,” Applied Clay Science, vol. 134, pp. 89–94, 2016. R. Singh, R. Chadetrik, R. Kumar, K. Bishnoi, D. Bhatia, A. Kumar, N. R. Bishnoi, and N. Singh, “Biosorption optimization of lead(II), cadmium(II) and copper(II) using response surface methodology and applicability in isotherms and thermodynamics modeling,” Journal of Hazardous Materials, vol. 174, no. 1-3, pp. 623–634, 2010. F. Ghorbani, H. Younesi, S. M. Ghasempouri, A. 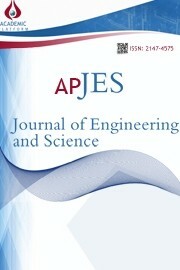 A. Zinatizadeh, M. Amini, and A. Daneshi, “Application of response surface methodology for optimization of cadmium biosorption in an aqueous solution by Saccharomy cescerevisiae,” Chemical Engineering Journal, vol. 145, no. 2, pp. 267–275, 2008. M. Iqbal, N. Iqbal, I. A. Bhatti, N. Ahmad, and M. Zahid, “Response surface methodology application in optimization of cadmium adsorption by shoewaste: A good option of waste mitigation by waste,” Ecological Engineering, vol. 88, pp. 265–275, 2016. Q. Manzoor, R. Nadeem, M. Iqbal, R. Saeed, and T. M. Ansari, “Organic acids pretreatment effect on Rosabourbonia phyto-biomass for removal of Pb(II) and Cu(II) from aqueous media,” Bioresource Technology, vol. 132, pp. 446–452, 2013. Y. Wu, Z. Ming, S. Yang, Y. Fan, P. Fang, H. Sha, and L. Cha, “Adsorption of hexavalent chromium onto Bamboo Charcoal grafted by Cu2 -N-amino propyl silane complexes: Optimization, kinetic, and isotherm studies,” Journal of Industrial and Engineering Chemistry, vol. 46, pp. 222–233, 2017. S. Vilvanathanand S. Shanthakumar, “Ni (II) adsorption onto Chrysanthemum indicum: Influencing factors, isotherms, kinetics, and thermodynamics,” International Journal of Phytoremediation, vol. 18, no. 10, pp. 1046–1059, 2016.